The first Holden Volt has landed in Australia and has been revealed to employees at a special event held at Holden headquarters today. This first cutting-edge Holden Volt vehicle arrived into Australia from the United States and is a left-hand drive model that has been adapted for use by the engineering team to begin in-country validation and verification. The Volt has been used for numerous engineering evaluation trips, seeing it drive to various places around the country including Sydney and Canberra. 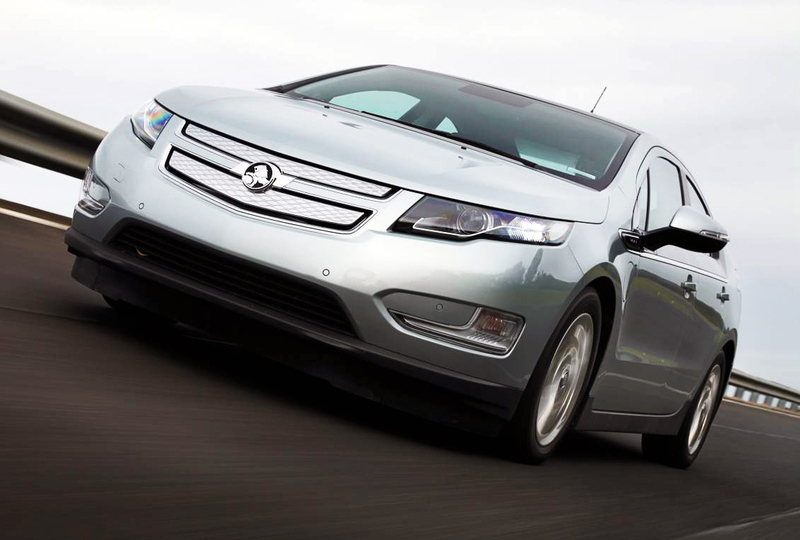 The Holden Volt represents a major milestone for the Red Lion brand. Holden Chairman and Managing Director Mike Devereux said the Holden Volt will be a game changer for Holden and the wider automotive industry in this country. “It is among the most technologically advanced cars on the road anywhere in the world and spearheads Holden‟s push to become a leader in the field of technology and sustainable motoring. Many of the Volt's benefits are due to its groundbreaking propulsion system; the Volt was the world's first electric vehicle with extended range capability. Driven purely by the advanced lithium ion battery, the Volt can drive on electric-only power using electricity stored in its 16 kW/h lithium ion battery. When the battery runs low, a petrol-powered engine seamlessly operates to recharge the battery, thereby eliminating "range anxiety" and making the Volt the most practical electric car on the market. Owners of the Volt in the United States have recorded up to 2300km (equivalent) of driving before needing to refuel the petrol engine, which acts as a generator to recharge the battery. The Holden Volt will go on sale in Australia towards the end of 2012. Further technical information and specification details will be released closer to launch.